Jessica, a makeup artist makes enough money to make ends meet, but just barely. As she is doing makeup for a couple of college aged girls, she hears one telling the other that she’s going to blow off a ethics and morality study for the next day. She secretly gets the information from the girl’s phone and shows up for the study using her name. After all, $500 is a lot of money to her. The questions keep going deeper in her psyche. Under the guise of the study, the doctor sent her places and manipulates her to the point she doesn’t know what is real and what isn’t. Unbeknownst to her, Jessica also meets the doctor’s husband, who is also a psychologist. Who is telling the truth and who is setting Jessica up? This dark thriller will keep you guessing from beginning to end. An excellent read! Thank you the publisher, NetGalley and the authors Greer Hendricks and Sarah Pekkanen. My first experience reading these authors and what a ride it was. Excellent story, well written. It kept me on my toes from beginning to end. Couldn’t stop reading absolutely riveting. Cannot wait for another book from these authors. Many thanks to NetGalley, St. Martin’s Press, Greer Hendricks and Sarah Pekkanen for an ARC in exchange for an honest review. My opinions are 100% my own and independent of receiving and advanced copy. Rating 2.5 stars I loved “The Wife Between Us” and was ready for another no holds barred, twisted ride with Jessica, Subject 52, who signs up for a psychological study on morality and ethics. Do you think you’re in trouble when you lie your way into a study on ethics because you need the money? Dr. Shields takes a special interest in Jessica and lures her in with expensive gifts, high paycheques, and what is amounting to free therapy in exchange for following her instructions in what appears to be testing the mettle of a married man. Written in alternating POV between Jessica and Dr. Shields, this cat and mouse story tries to keep you off kilter as you see how Dr. Shields spins her web, always having an explanation for putting Jessica in situations that don’t feel right, in fact they make Jessica feel icky. But by this point Jessica has spilled her guts to this woman who knows all of her dark secrets and insecurities. Dr. Shields is not only beautiful, self assured, has impeccable taste and always seems to know the right thing to say to put Jessica’s fears to rest. She also knows whenever Jessica is not being completely honest. When Jessica finds out that the married man is Dr. Sheilds’ husband, Thomas, she knows something is not right. But when Thomas warns Jessica that Dr. Shields in dangerous, Jessica knows she is in trouble. Hendricks and Pekkanen write really well together, but this was not as exciting a story as their first novel. There was some suspense, but nothing like the thrilling tickle when you don’t know who is lying and who is telling the truth and will the protagonist make it out alive! There isn’t any surprising twist that you can’t see coming. This one just leads you down the path until the end. You know who that bad guy is and you can guarantee the protagonist is going to survive and yes there is some information revealed but no wow factor. The seduction of Jessica is interesting enough to keep reading but I needed more. I want that “can’t-put-it-down” feeling, or at least some doubt as to whether the doctor or Thomas is the bad guy. A lot was left untapped with Jessica and the minor characters like Lydia, and Josh, to name a few where more could have been done to create tension. Just an okay read for me. "An Anonymous Girl" is a twisted psychological tale. Jess, a ate twenties make-up artist in Manhattan, becomes involved in a study being conducted by NYU professor and psychiatrist Dr. Lydia Shields. Through manipulation, Jess falls under the spell of Dr. Shields, and her life becomes deeply affected. 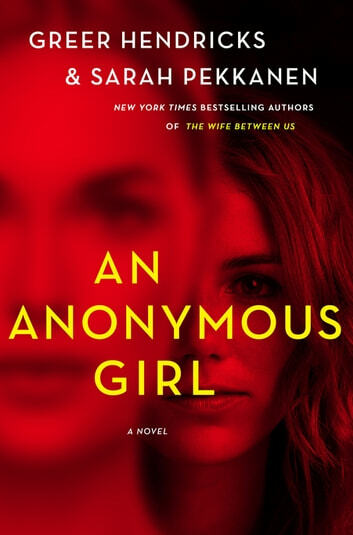 While the story kept my interest, I personally found "An Anonymous Girl" a shallow and predictable read. Non-stop suspense, another brilliant story! If I had to choose just one word to describe how I felt while reading An Anonymous Girl by Greer Hendricks & Sarah Pekkanen, it would be “uncomfortable.” After their amazing first novel The Wife Between Us, they promised to give readers a second book just as twisty, thought-provoking, and addictive. They have exceeded that promise with An Anonymous Girl. I was on edge, hardly able to turn pages fast enough. Things don’t seem quite right with Jessica Farris from the start. She’s unsettled, there’s more to her than meets the eye. She’s not really someone you want to be friends with, but at the same time you can’t help but feel a bit sorry for her. She wiggles her way into a study on ethics and morality in a less than ethical fashion. She needs money for her parents and sister, and this seems to her like a harmless, won’t-hurt-anybody way to get it. But things don’t go at all as she expects. What starts out as simply answering questions at a computer soon turns into morality experiments, manipulative outings where Jess is told how to dress and act, and to do things she is not comfortable with. But even though she starts to wonder what the real purpose of this study is and how much Dr. Shields really knows about what Jess is thinking – and hiding, she is intimidated and in awe of Dr. Shields and goes along with more and more . . . and more. 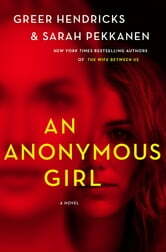 An Anonymous Girl is complex and brilliantly constructed. The perspective jumps back and forth between Jess and Dr. Shields. You don’t know if Jess will continue to go along or start to resist. And Dr. Shields – her distant, third-person way of describing events and feelings and never saying “I” provides a glimpse into her personality but not an understanding of her motives. She just feels dangerous and unpredictable. All of the characters are mysterious and unpredictable. And as soon as you think that even if you can’t understand their motives or feelings or needs and desires, you might be able to guess what they will do next, you are proven wrong. Very wrong. You are off balance all the time, which is great. About half-way through everything suddenly blows up. I said, “Oh no!” out loud. It’s been cat and mouse all the way to this point, but now they are both cat and both mouse. The tension is nearly unbearable. It’s the kind of book that you can’t stop reading, but that you put down every few seconds because you are so afraid of what will happen next. It continues that way until the very end, which I didn’t see coming at all. I received an advance copy of An Anonymous Girl from the publisher St. Martin’s Press in exchange for an honest review. It’s an amazing book and I highly recommend it. I will be first in line for anything and everything that Greer Hendricks & Sarah Pekkanen write.